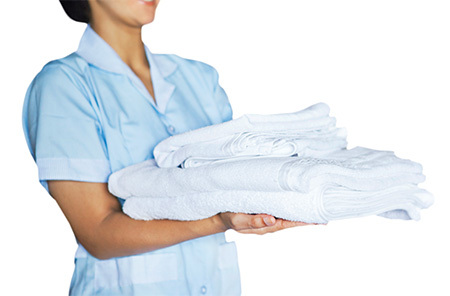 Housekeeping in the hospitality segment has undergone drastic changes in method and in process. 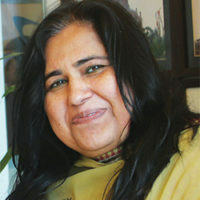 Mohana M speaks to some of the big-wigs in the housekeeping profession in star hotels of Delhi to capture those not-so-easy and challenging moments of work life. When we started working in housekeeping 30 years back, there were no chemicals. We only knew of off-the-shelf cleaning products like Vim, Brasso, Teepol and we used to scrub manually right from the washbasin to the bath tub. For floor polishing the chemicals used were a concoction using turpentine oil. All that mattered was to have a shining floor. We used a piece of cloth or a discarded towel to polish the floor. This was housekeeping three decades back. 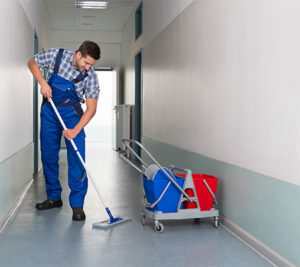 Now everything has changed with scrubs and cloths being replaced by tools and mops. We have best of the machines with different rpms, best of the chemicals and these make cleaning easy. What I found difficult to achieve earlier, today equipment and chemicals have made it possible. The future is promising with new inventions coming up. 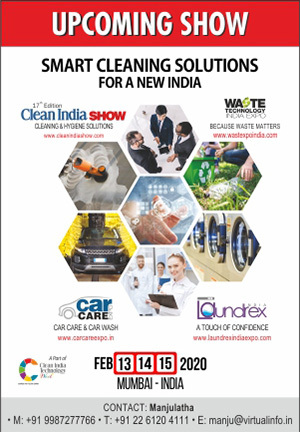 Latest technologies like robotic cleaning or where carpets instead of being shampooed can be dry cleaned and made ready-to-use within two hours, will make all the difference. Speaking about career growth, earlier promotions and moving up to the next grade or level was not so easy. Nowadays, people down the line are very impatient, and are always looking for higher job posts outside. They do not wish to learn everything and want to move on. The knowledge gathered by working a number of years in a particular role, understanding of that role and execution of that role to perfection is missing currently. It took five years previously to get the next promotion, but now in five years any housekeeper turns into an executive housekeeper or a deputy housekeeper of five-star hotels. Another reason why promotions did not come by easily earlier was because the management never used to recognize our capability. I think the biggest thing is to change the thought processes of people. That can only happen when the housekeepers are brought in through formal institutes. Nowadays, as soon as one steps up the ladder, they reach a saturation point. What next after executive housekeeper? They feel stagnated in a role for three, four or five years, leading to dissatisfaction and demotivation. Ultimately, they look for another job or change the industry. Soon there will come a time when we will have managers doing multiple roles. There are options in the managerial role where a housekeeper can become a resident manager and then a general manager. As a manager, one needs to learn about rooms, F&B, design and even the engineering part besides selling, customer retention, increase customers, revenue management and many other activities. In short, a manger who knows the operations of each department and who grows to assistant manager, general manager and so on. When I was opening Continental hotel in Goa 25 years back, I had just three days in hand. 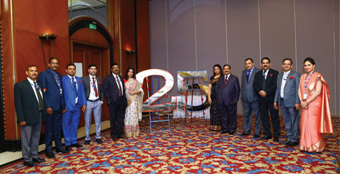 It was a big event with VVIP coming in for launch. The entire staff worked continuously for three days without sleep and we were able to put up a great show. At a point of time, we did wonder whether it was possible or not. But everything is possible if you wish to go for it. Opening a hotel in three days was a new learning and great achievement for me too. I never trusted myself to do this but it was done eventually. Hence, growing is quality delivery of what one learns as a housekeeper. How much a housekeeper knows about the job. Superiors give us the necessary knowledge and training but we need to be updated. When I started my career, I didn’t have a laptop. Today, I do everything on Excel easily. This is the learning we need to keep ourselves updated with. What is happening technologically or otherwise in this field, upcoming design, the tools, cleaning chemicals and so on; one needs to be updated. Over and above, one needs to also understand what the new generation is expecting from you. Maybe they are not comfortable to learn the way we teach them. We need to adapt different ways to teach them also. We also have to speak their language. They should like whatever we teach them in a methodology that they comprehend. My team has 25-year-old girls who sit here and learn with me. Within two and half years they are ready to become an executive housekeeper. This is because the teaching and learning which involves operations, design, manpower ratio, laundry, horticulture and so on, is very-very strong. The housekeeper within two years knows my expectations which is the key to their success.